District 21 – July 2011 – Lincoln Nebraska A.A. Traditions read by Zach L.
Intergroup Liaison Report (Emily S.at family reunion). No report. 1. Pocket of Enthusiasm (Steve U. ): Attendance good, good speakers, paying the bills. doing alright, trying to contact area treasure as checks are not being cashed. 3. Women’s Circle of Friends (Jennifer R): 20 in attendance, will change “Child care” to “children welcome” in the new meeting list, because they do not always have children come which makes funding a babysitter risky. Instead, they will use money to offer scholarship for more women to attend AA functions. 4. Young People’s (Zach L. alt): Zach is the new alt. GSR. He reported that all positions are filled and everything is moving smoothly. The group will be participating in the Unity picnic, and Jeremy E. the GSR, will be speaking. 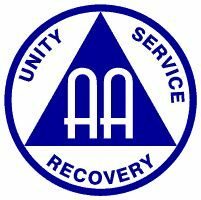 the AA service structure. Date to be announce, planned for September or October. 8. The Steps We Take (Linda S.): Not much change, but they do have a new secretary. Attendance is steady around 15. The meeting has couches. flyers, and we have speakers listed. Bob M and Sam are bringing gas grills w/propane. 40. We have 8 speakers so far. Approx 15 min per speakers. Motion: to have a donation basket at the district event. ensure we have a voting member present at remaining Area 41 Assemblies. Michael F., Bob M., Lori G., Kari F., Steve U. and possibly Zach L.
committee to research if there are questions. All in favor, none opposed. Motion passed.